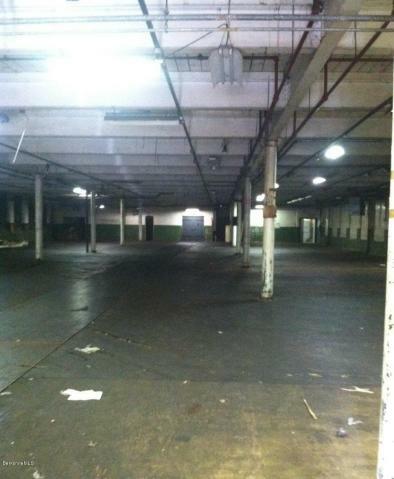 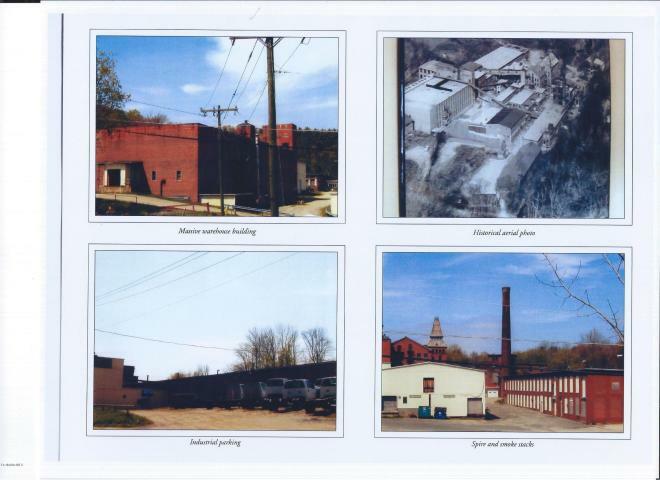 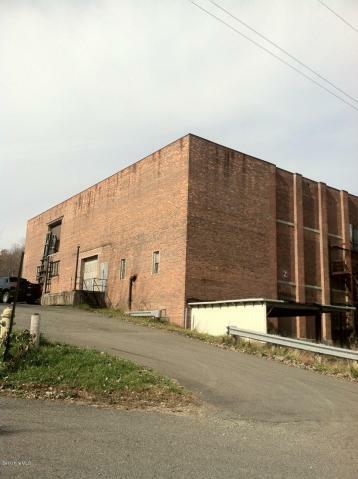 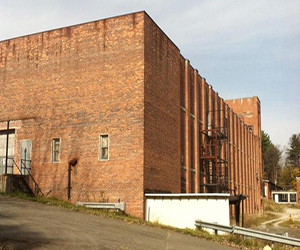 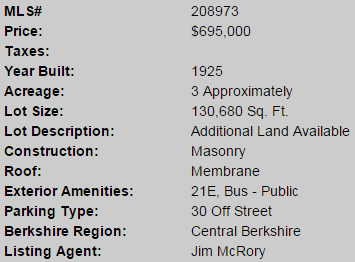 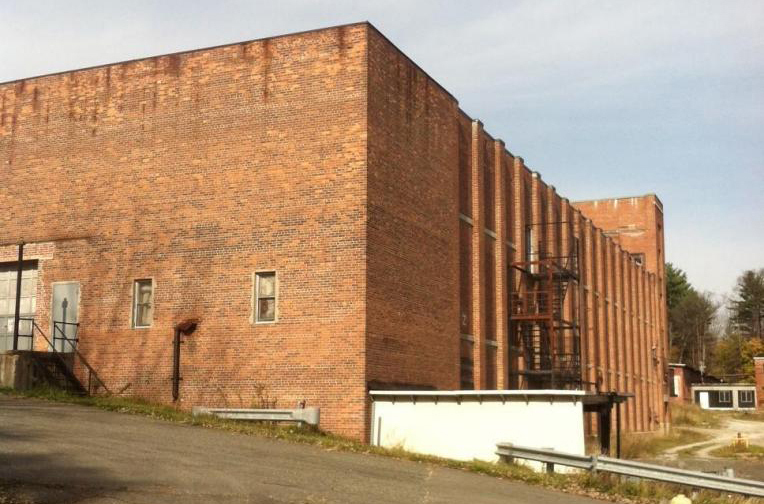 Large brick manufacturing/warehouse building in good condition. 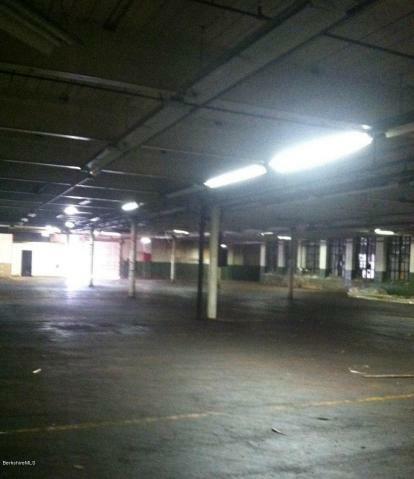 Sprinklered, freight elevator, loading docks, overhead doors. 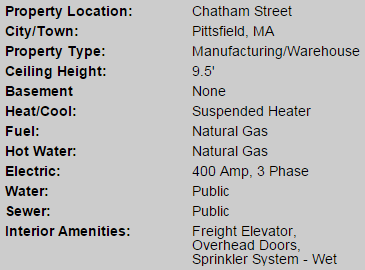 Ceiling height 9.5 ft.